Last week imec (formerly known as iMinds) has published its yearly Digimeter report. 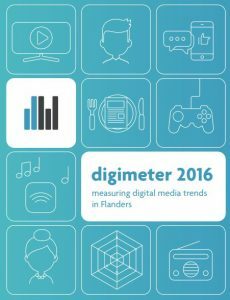 The ongoing research, directed by prof. dr. Lieven De Marez of Ghent University, charts the adoption and use of media (technology) in Flanders since 2009. Every year the researchers measure and identifiy digital media trends and publish them in a comprehensive report. Here are some of the more notable results of this years’ gaming chapter. 54% of the population plays games on any advice at least once per month. Playing video games is still slightly more common among men (56,5%) than among women (51,3%). 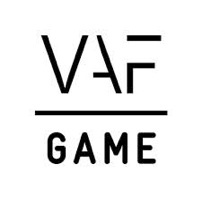 The mobile phone is the prefered gaming platform, with 34% of the population playing mobile games. 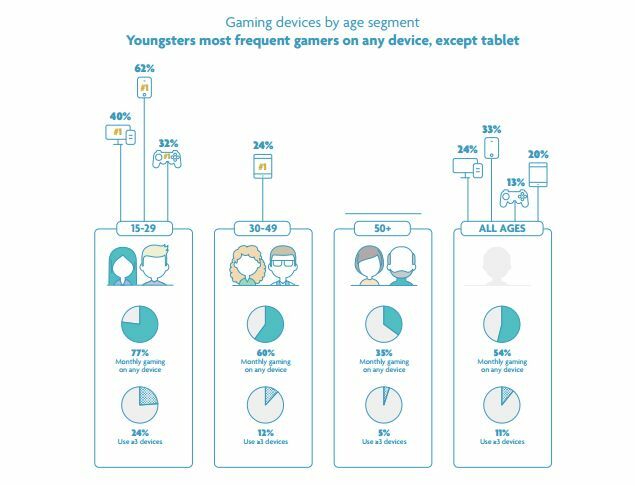 Even more remarkable is the fact that the mobile phone is the exclusive device used for gaming on a monthly basis (from 6,9% in 2015 to 11,2% in 2016). Mobile gaming keeps getting bigger (from 30,4% in 2015 to 33,2% in 2016), mainly at the expense of gaming on a laptop or desktop computer (from 31,2% in 2015 to 24,4% in 2016) and console gaming (from 14,8% in 2015 to 11,4% in 2016). In spite of mobile games getting bigger, gaming on tablets also shows a slight decline (from 22,3% in 2015 to 20,0% in 2016). A quarter of the population plays games for at least an hour a day. These frequent gamers tend to play more on “traditional” gaming platforms, such as a laptop or desktop computer and (portable) game consoles. They also tend to use a more varied mix of devices to play games on compared to games who play games less regularly.